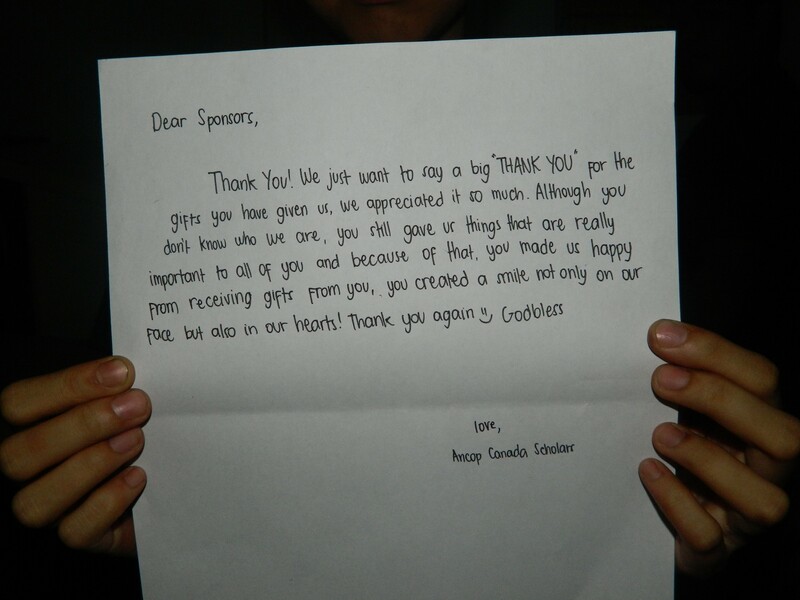 Nothing can make sponsored children feel special or loved than when they receive letters from their sponsors. It will only take a few minutes to write a letter and let them know that they are remembered. We highly encourage writing to your scholar and sending a card for birthdays and holidays. The more letters you send, the more wonders you bring to their self-esteem. To protect your right for privacy ANCOP CANADA will not disclose your contact information. Exchange of letters between you and your scholar will be facilitated by ANCOP. Visiting your scholar is also encouraged. If you plan to visit your sponsored child, be sure to contact us at sponsor[at]ancopcanada.org at least one month prior to your planned visit.